According to an image posted on Twitter, there was a startling revelation about the Ferrari team. As it turns out, the SF90 has great straight line speed compared to Mercedes and Red Bull. However, the place where the Maranello outfit were vulnerable was in the corners. Things were so bad that even Red Bull were ahead on occasion. 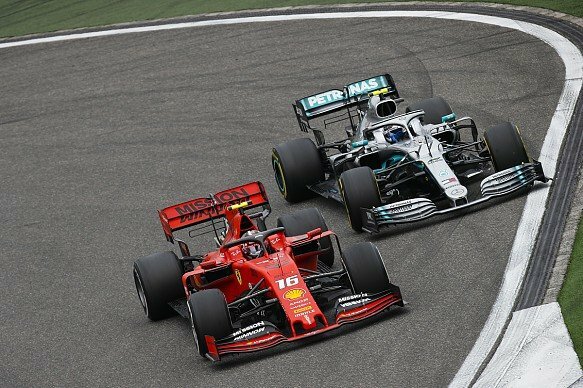 Valtteri Bottas was often faster than Vettel on many occasions except at Turn 12 where he was the slowest and Max Verstappen was the fastest. In all the straights, Vettel’s Ferrari was the superior car. But in the end, it was all in vain as Mercedes romped to a 1-2 with Vettel coming home in a lonely third. After the Chinese GP qualifying, Vettel admitted, “We know we have problems on the corner, but not in all corners and not always. We have to understand why”. Some feel that the Ferrari lacked downforce compared to its rivals, Mercedes and Red Bull. “A rear wing like the one from Mercedes is in the works.”.